McMillan – Design Build was founded in 2008 by industry veteran Michael McMillan, whose 20 +year construction career is proven, having built great projects like schools, church facilities and many of Charlotte’s unique luxury homes and renovations. With our in-house Architectural Designer, McMillan – Design Build offers a one stop shop for our clients to receive full Architectural planning from conceptual designs to construction documents in conjunction with pre-construction estimations, value engineering, site assessments and feasibility studies. Visit our Design Build Services page for full descriptions of wow we can help bring your project to life. To us, quality is as much about what is seen as it is about what is unseen. It’s easy to notice our attention to detail, quality of design and outstanding workmanship. Behind the scenes, we focus on structural integrity, energy efficiency, longevity and quality control. 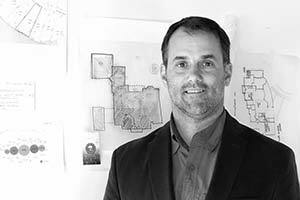 Prior to forming McMillan Builders, Michael served as construction manager for nationally recognized homebuilding and development firms in Charlotte. He was responsible for building many of Charlotte’s most recognized model showhomes and HomeArama tour homes within premier luxury communities that include The Point on Lake Norman, heritage neighborhoods in Myers Park and gated new home communities in South Charlotte and Ballantyne area. Michael served in the Navy as a SeaBee in the construction battalion reserves while attending the University of Dayton in Ohio prior to moving to North Carolina. 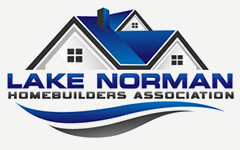 Mike is a NC Licensed Building Contractor in both Residential and Commercial Construction since 1999. Nicole has always been a designer and maker- she has fond childhood memories of constructing her own building blocks out of paper and tape, designing dollhouses, and exhausting the countless possibilities of Legos. In her time outside of Design-Build projects with the McMillan team, Nicole holds adjunct faculty positions at local Schools of Architecture, spends time adventuring outdoors, and tends to her collection of plants. 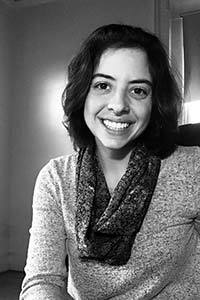 Nicole joined the MBDB team as an Architectural and Design consultant. She quickly found her place among the crew as a creative problem solver, project designer and manager (although she doesn’t hesitate to join in at the construction site when she can!) You'll always see Nicole with a sketchbook and pen- she listens to clients and teammates, designs space, and processes information or ideas through drawing and writing. Nicole holds two degrees in Architecture from UNC Charlotte and has been working in the AEC industry for 5 years participating in projects ranging from healthcare environments, corporate and commercial interiors, educational facilities, and a grassroots design-build project for a developing village in Ghana, Africa.